On the 4th of July, my niece bought fireworks for the kids to enjoy. Their yard is not suitable for Pyrotechnics so she called earlier in the day to ask if it would be OK to shoot them between the house and the barn. She assured me there were no LOUD ones that would send the dogs over the edge. We agreed. My niece holds a place in my heart and I fear that if she asked me to knock off a liquor store, I'd do it rather than disappoint her. Thankfully, she's never asked me to commit any felonies. Fast forward to 9ish on the 4th. She came over with Jordan and her brother's four kids. I dragged a lawn chair down there and held our shaking Yorkie as the show began. Right at dark, Joy who is the youngest saw a firefly and shot off after it. Soon, all the kids were chasing fireflies instead of watching the colorful fireworks. I smiled as I watched Joy walk stealthily with cupped hands. The Firefly would spark, and she'd slip a little closer. Soon, she gently cupped her hands around the critter and ran back toward us smiling. "I caught one!" she said. She held her cupped hands to her eye and watched it blink for a few minutes before setting it free. Soon all the kids were in a race to see which one could catch the most fireflies. Every now and then they glanced over at the fireworks, but not that often. As I sat there, I realized those kids were a lot like we were when we were kids. It didn't take a lot to amuse the kids of my childhood. June bugs and fireflies were as good as it got in summer. The picture below is not a jar of fireflies but a tiny string of led lights on a brass wire not much bigger than a thread. I found them for $2 on the sale rack at TJ Maxx. The moment I saw them I knew exactly what I'd do with them. I love your idea of putting led lights in a canning jar. So many possibilities. My kids used to put fireflies in jars. They are amusing to watch. I like fireflies too. My jars of fireflies when I was a child never glowed like your lights. Sigh. Fireflies are exotica to me. I would definitely be watching them. In awe and wonder. We call them lightening bugs, but they always do seem to come right around the fourth of July. They are natures fireworks for sure ! We called them lightening bugs too, spent a lot of time growing up catching them, that jar looks like you actually caught a bunch nice job, and wonderful memories. Loved fireflies! ... Now that you mention it, I've missed them. Loved your jar of lights!! I've heard of fireflies all my life but I've yet to actually see one. 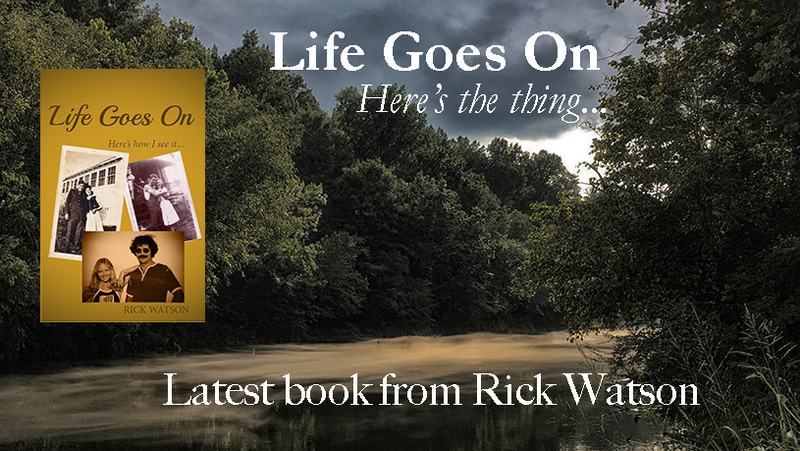 Dear Rick, I so enjoyed this posting because on June 6th I posted about a child and her mother from Idaho who were visiting me and for the first time ever saw fireflies--or as we say in Missouri--"lightning bugs." The posting is called "Is Beauty Ever Ordinary." You might enjoy it. I surely enjoyed watching their amazement. Peace. I love watching the firefly show every evening. The field across the road puts on a pretty good show! I recently bought a canvas painting of a jar with fireflies in it and it lights up..so cute! I'm giving it to my daughter-in-law when we go to Oregon in August. There's no fireflies out west so I know she'll like the painting. Have a good week! I like the fireflie jar. I can picture the kids looking at them and smiling as the drift of to sleep. Making memories. I love this story because it just shows how much kids will be kids if given the chance. I love what you did with the jar because I thought they were fireflies for a split second. My former brother in law once saw and entire tree covered in fireflies and said it was the most magical sight he ever saw.